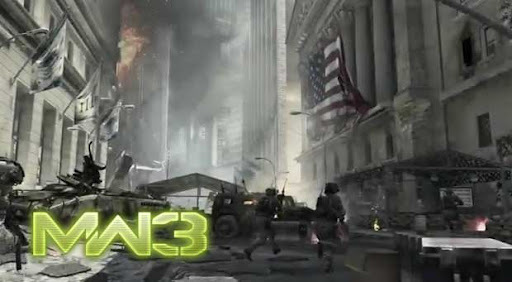 Call of Duty: Modern Warfare 3 (stylized as Call of Duty: MW3) is an upcoming first-person shooter video game currently in development by Infinity Ward and with assistance from co-developers Sledgehammer Games and Raven Software assisting multiplayer development.It will be the third installment in the Modern Warfare series, and the eighth Call of Duty installment in total. According to slashgear.com The explosive cinematic trailer is full of fierce gunfights amidst massive destruction, showing for the first time in-engine footage. Not only have the graphics really been stepped up, the scope and breadth of the game is said to have been expanded to include larger maps and destructible environments. This expansion seems to be in direct competition with that other blockbuster war shooter, Battlefield 3.